From the end of July to the beggining of September. 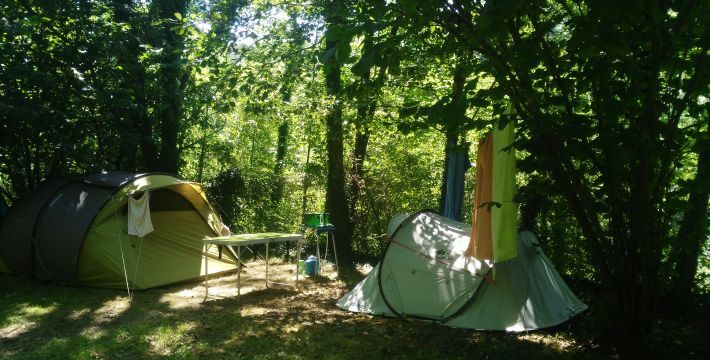 Zingira campsite is ideal for holidaymakers who want to explore the Basque region and come for a rest to the peaceful and relaxed atmosphere of the campsite. The campsite is located next to a forest of beech trees and a natural reserve (Pagoeta). Furthermore, for those people who enjoy the beach, the small fishing town of Orio is only 2 kms away and has two beaches. Campers love the large plots, with the spacious areas of sun and shade offered by the woodland. The vegetarian restaurant has a large porch where we offer a selection of vegetarian dishes at a good price. Orio, the nearest village, is a small traditional fishing village which is well comunicated by public transport. You can travel between Bilbao and Hendaia, passing through San Sebastian, Zarautz, Getaria and Zumaia. From Zarautz, which is also close you can reach Loiu Airport, Vitoria-Gasteiz and Pamplona amongst other destinations. Address: Olaskoegia 38, 20810 Aia-Orio. If you are aproaching the campsite from Bilbao, leave the motorway at Zarautz, follow the directions to Orio and before you reach the bridge turn right into the road GI-3161. There a long term stay pitches. For up to four persons. All bungalows have two bedrooms, a kitchen-living area, WC and shower, a small terrace with a table and chair and green pitch with table and chairs. A minimun of nights may apply.